DCM is a leading Silicon Valley venture capital firm with significant investments in China. The gift bag was provided to entrepreneurs and investors at DCM’s Lunar New Year Party. Our solution welcomes the Year of the Rat by using the DCM’s initials to create a proprietary Chinese lunar calendar animal. The concept of yin and yang is conveyed through the bag’s wrap-around motif and alternating color scheme. 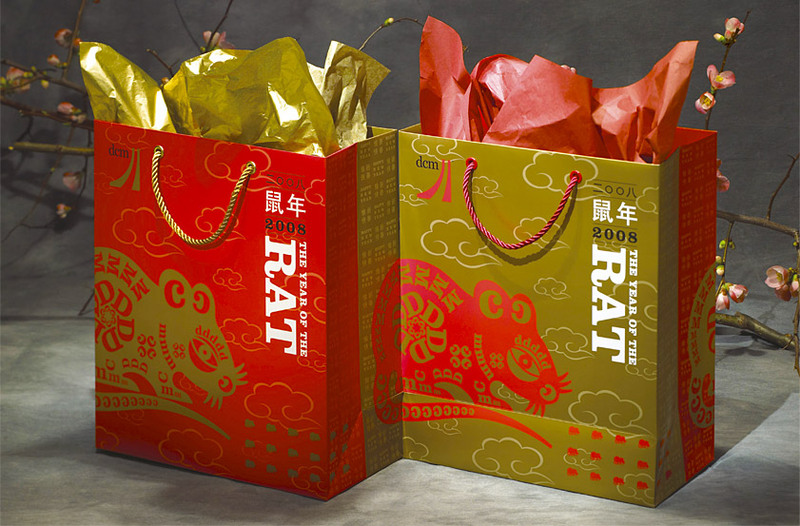 The bag spines use Chinese and English new year greetings to create a vibrant typographic pattern.